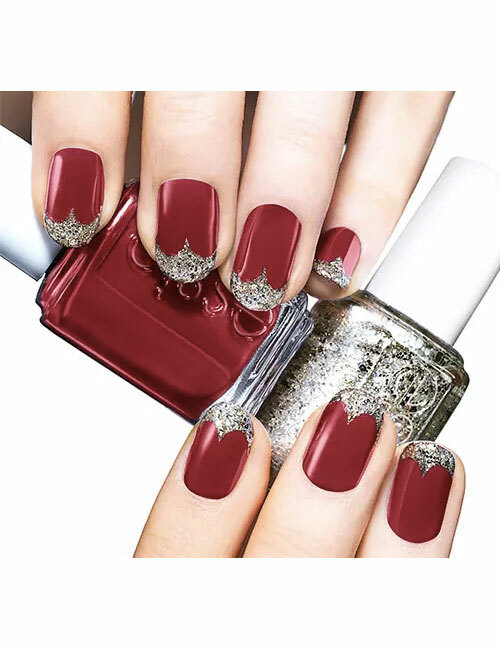 In this article, you will get to know about wedding nail art designs 2017 for brides, hence here is latest wedding nail art designs 2017 in Pakistan for you to explore most beautiful bridal nail designs to make your big day more beautiful. 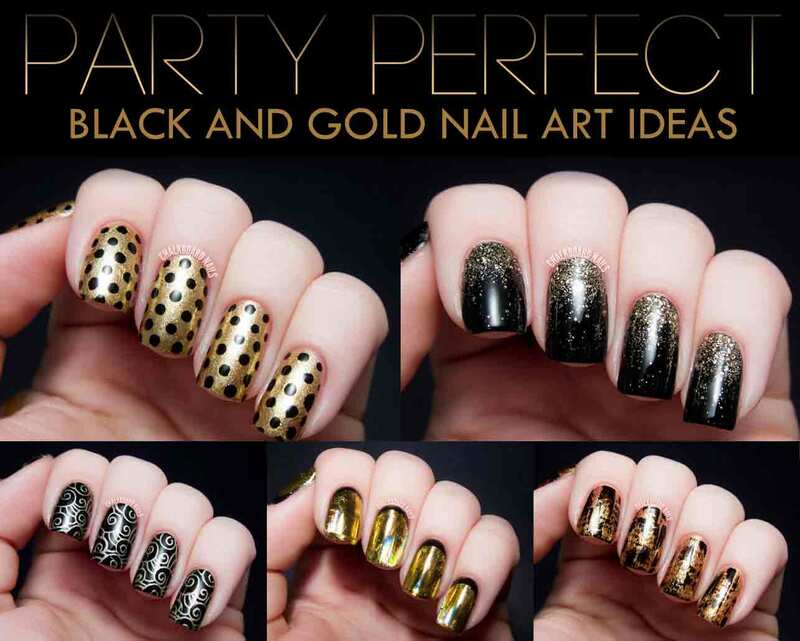 Nail art has become essential like must haves to attain a striking look on any event because it shows that you are keep in touch with the latest fashion trends. 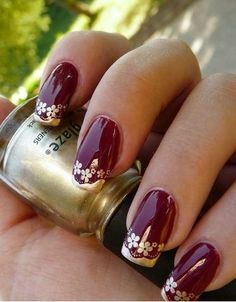 In Pakistan nail art designing trend has also gained familiarity and brides look for best nail art designs 2017 for wedding ceremony. When it comes to wedding, bride confront with many questions like which color and style of bridal dress will be more suitable? which bridal shoes design 2017 I should where? 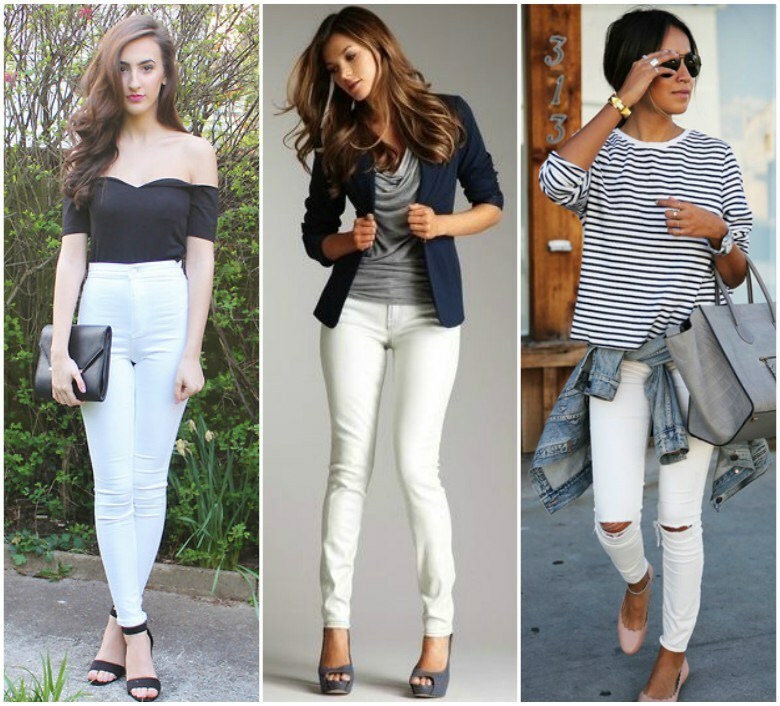 from which salon to get the make up done? 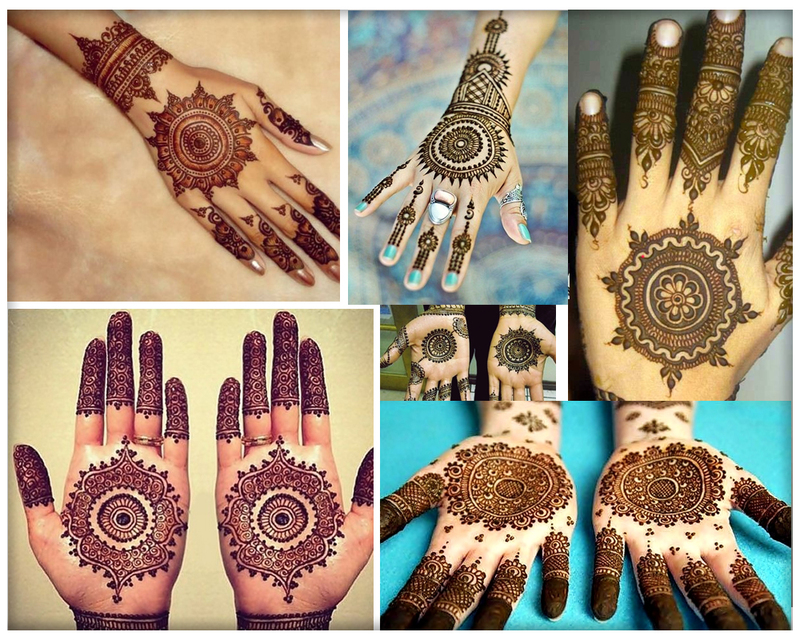 Which bridal mehndi design 2017 to apply? 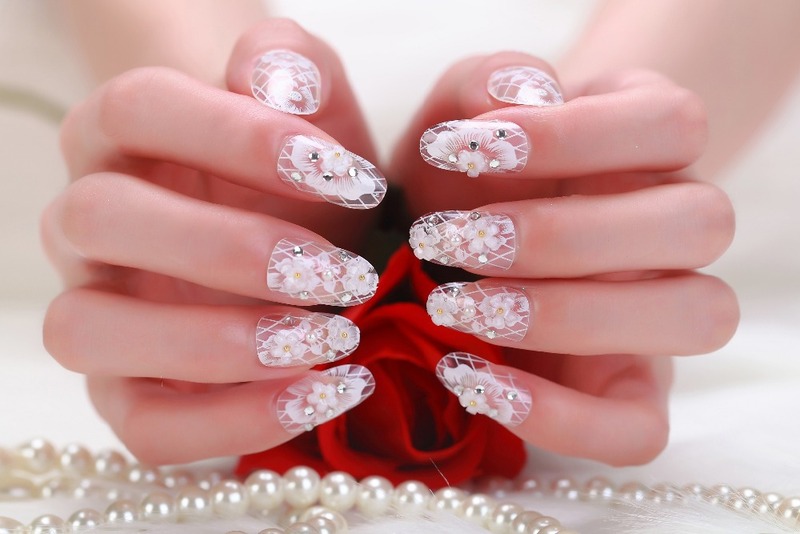 and which bridal nail art design will be perfect in accordance with wedding dress. 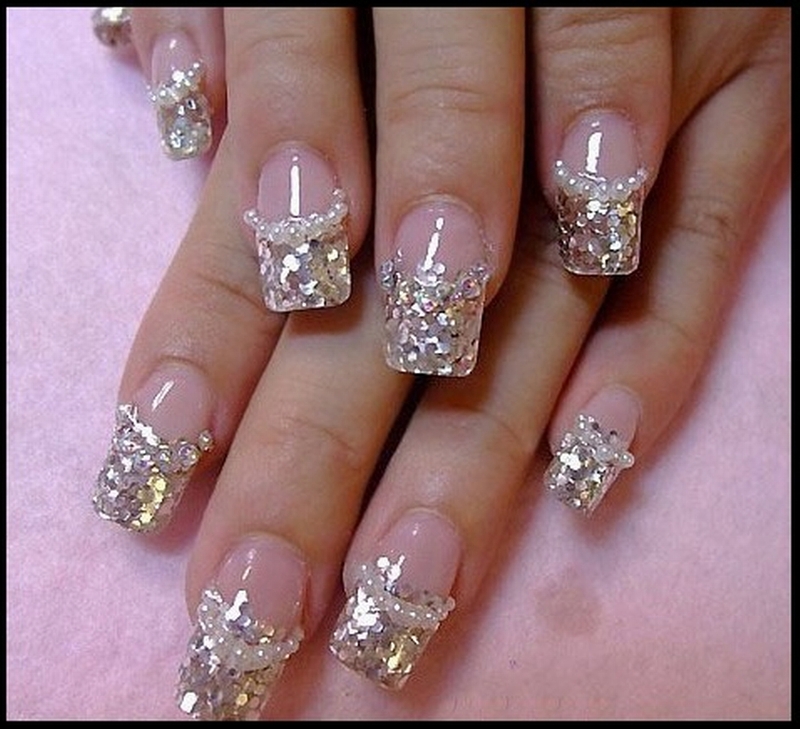 So in this post you can find latest bridal nail art design ideas 2017 with images. 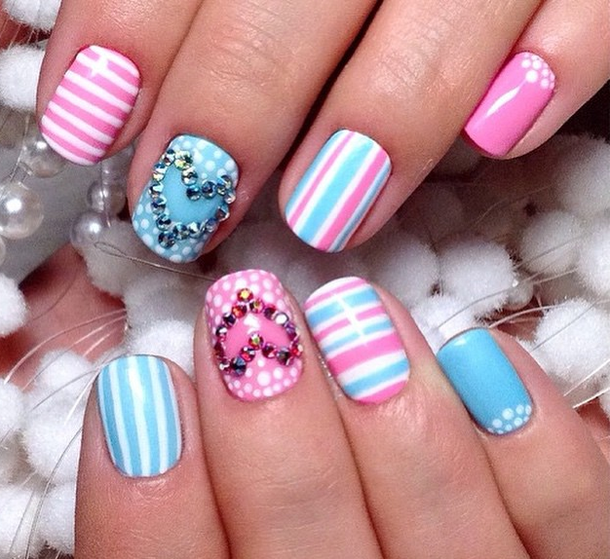 In this post I have rounded up with best wedding nail art designs for brides in Pakistan. 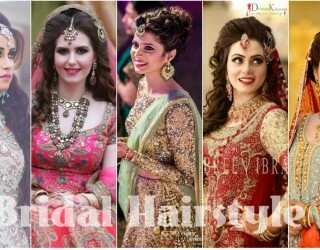 In Pakistan wedding are true depiction of traditions and are no less than of a festival. 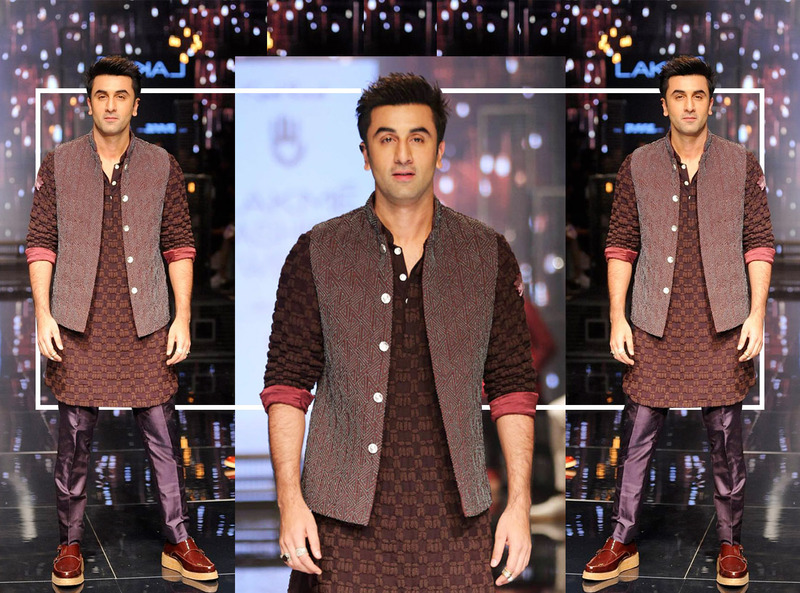 Both bridal and groom wear traditional dresses on all wedding celebrations from mehndi to walima. 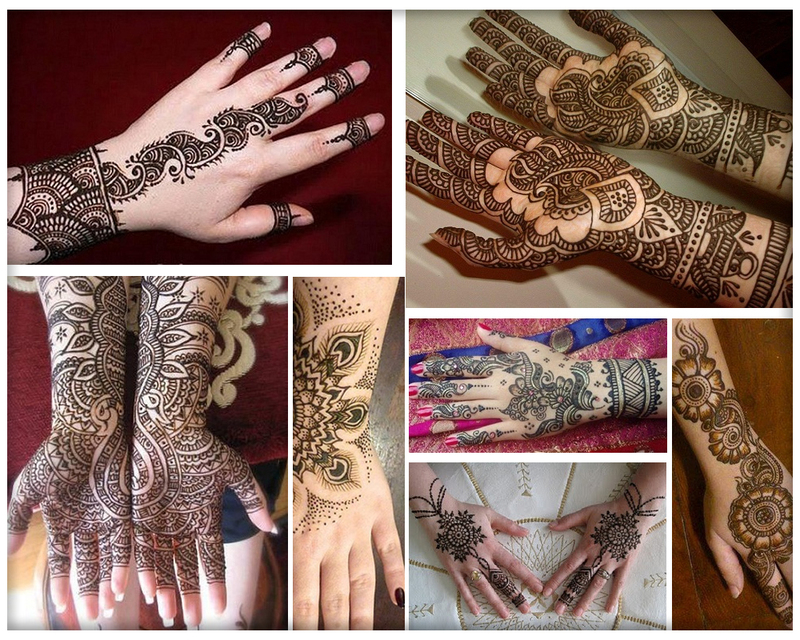 Brides take special care of everything from her skin, hair and nails to her wedding outfits for perfect wedding day. 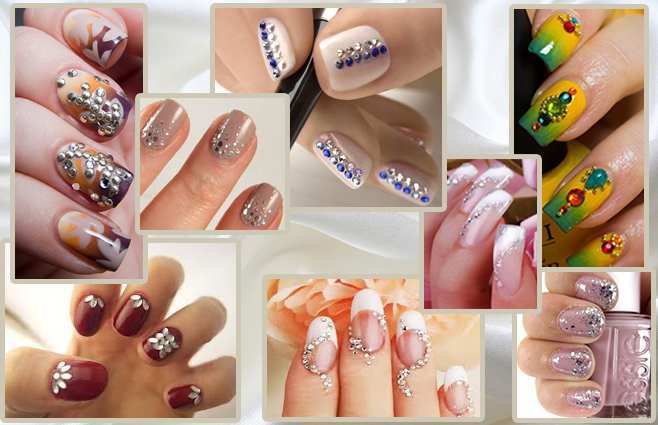 Below you can get lots of bridal nail art design ideas 2017 with pictures. 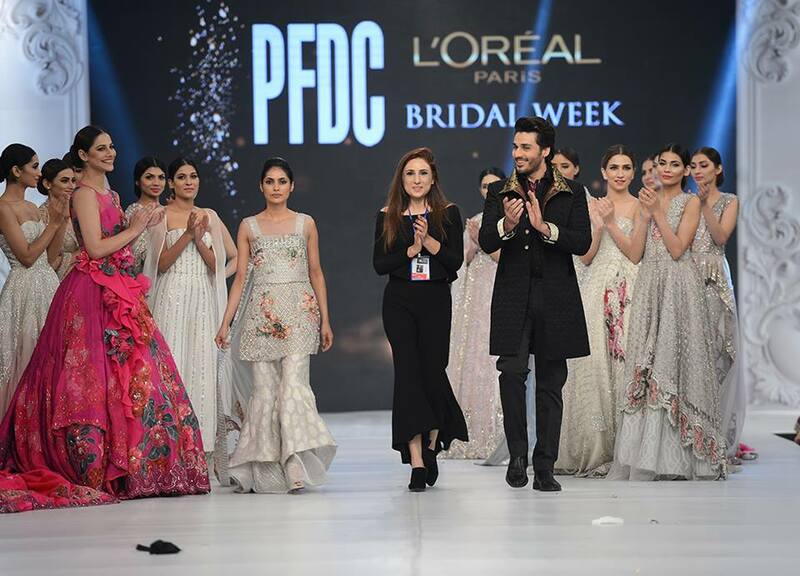 Traditionally in Pakistan bridals love to wear red or maroon lehenga with golden embroidery. 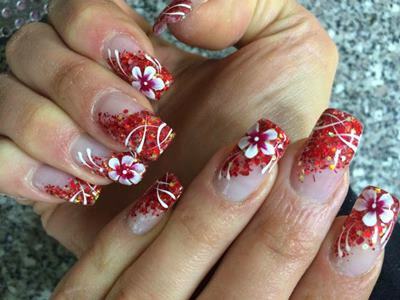 For this reason I have shared latest red and golden nail designs for your big day. 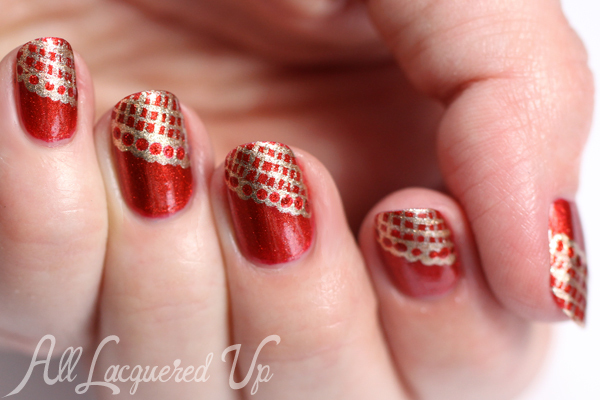 You can go for red nails with golden floral patterns or can add rhinestones. 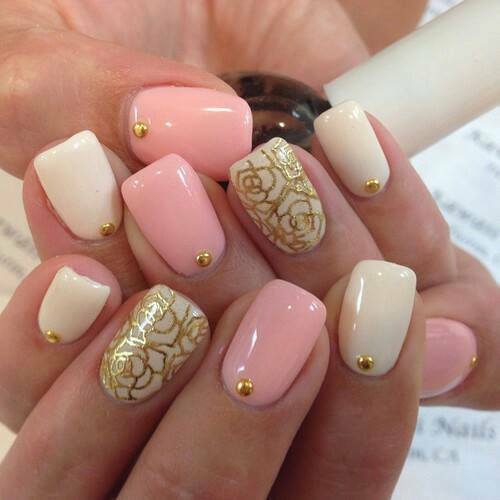 Gorgeous light pink nails looks awesome with most of the bridal outfits. Here you can have a look on pink wedding nail designs 2017 to enhance the beauty of your bridal dresses. 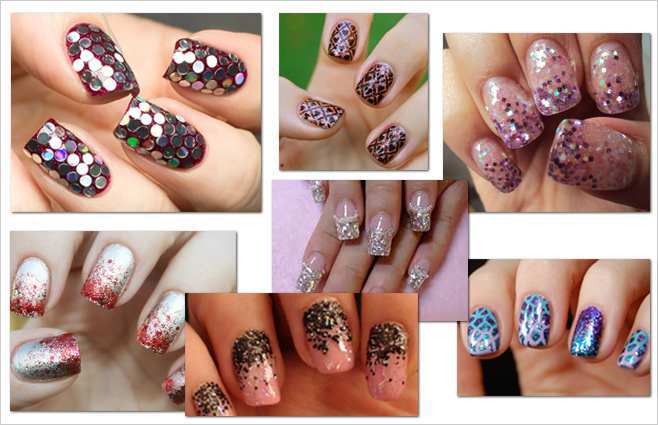 There are many ways to do pink nail art designs like just to apply golden or silver glitter on beautiful pink nail paint and you can also accessorize pink nails with different nail accessories like stars, stones and sea shells etc. 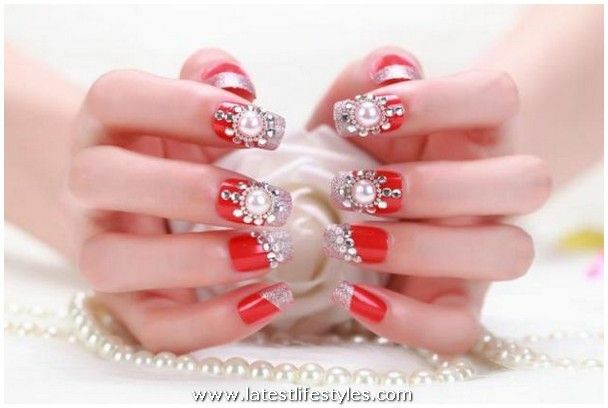 White wedding nails are always is ever green way to gain a perfect wedding look. Below you can check out beautiful white manicure 2017 for wedding that can also go with many bridal outfits. 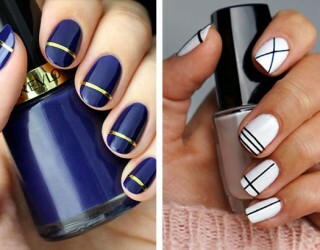 White nails are famous around the world for weddings that can be accessorize in various ways as well. 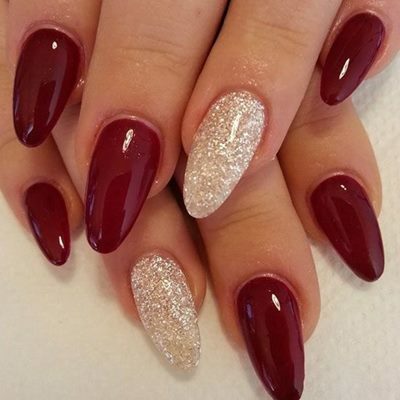 Above you got to explored latest wedding nail designs 2017 in Pakistan that include red and gold nails, gorgeous pink nails and white nails 2017 for weddings. 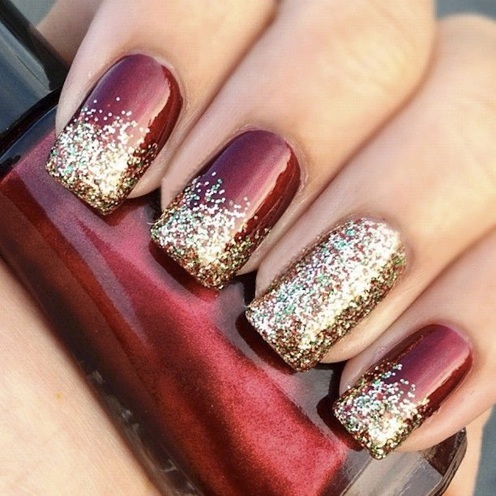 Hope you would get inspiration about which nail design ideas can go well with your different wedding dresses.